YOUR INTENSIVE CARE HOTLINE - Why does my loved one need a Tracheostomy in Intensive Care? You can check out last week’s episode by clicking on the link here! In this week’s episode of “YOUR QUESTIONS ANSWERED” I want to look at Tracheostomies and why your loved one may need a Tracheostomy! 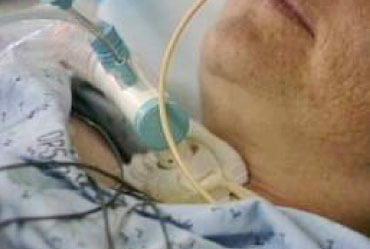 A Tracheostomy tube is often used in Intensive Care for the purpose to wean a Patient off the ventilator. It is usually the next step after somebody has been “deemed” a difficult or slow wean off the ventilator. Generally if your loved one is expected to be on the ventilator for more than 7 days, a Tracheostomy insertion would be necessary. This time frame might vary from unit to unit to plus minus a few days. A Tracheostomy can be performed percutaneously(needle puncture of the skin) or surgically. Both techniques are widely used in current surgical practice and the difference from an ICU perspective is usually that the percutaneous Tracheostomy insertion is performed in Intensive Care by the ICU doctors and the surgical Tracheostomy is performed in the operating theatre by a surgeon. Once a Tracheostomy has been performed, usually the sedation for breathing tube tolerance can be taken away and your loved one is able to be ‘woken up’. Once a Tracheostomy is in place ventilation can be tolerated so much easier, as generally no sedation is necessary. Your loved one will be able to have their teeth brushed properly and generally have good mouth care. Also, Tracheostomy ventilation is so much easier to be tolerated as the Tracheostomy generally doesn’t cause any pain or discomfort. As you might have already seen, your loved one can also have a good cough and suctioning sputum tends to be a lot easier as well. Now, lets look at the most important part of the Tracheostomy in Intensive Care. 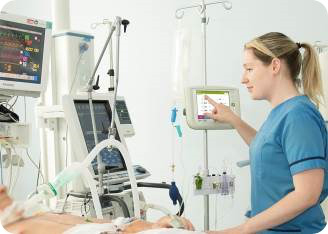 Generally speaking, if your loved one is ventilated in Intensive Care and has a Tracheostomy, your loved one can be taken off the ventilator as soon as he or she is more awake and your loved one should then be in a position to be gradually weaned off the ventilator. It still might take a while and whilst the start of the weaning process can be slow, with maybe 2 hours off the ventilator per day initially and then increasing the time off the ventilator from there, it is a good starting point. 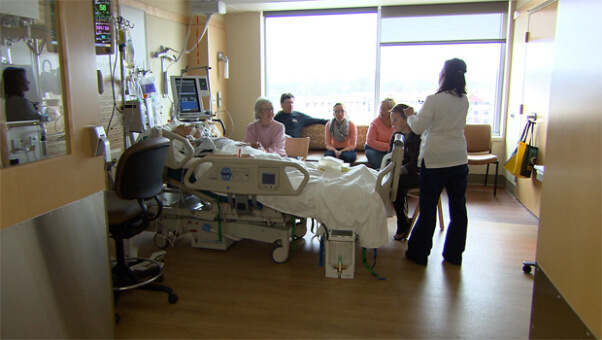 It often depends on what other things your critically ill loved one has going on. Sometimes Patients do go back to a ward with the Tracheostomy still in place and without a ventilator and sometimes both, the ventilator and the Tracheostomy will be removed before your loved one can go to the ward. Sometimes the ventilation and the Tracheostomy might be prolonged and sometimes your loved one might end up staying in Intensive Care for a prolonged period. Setbacks such as infections or an extensive premedical history can make the weaning process more difficult. Other factors might come into play as well such as the lack of Quality of life and depression in Intensive Care. Or you can call us! Find international phone numbers on our contact tab. Also check out our Products section where you get more Ebooks, Videos and Audio recordings and where you can also get 1:1 consulting with me over the phone or via Skype by clicking on the products tab!